This Picture was Taken in 1956.Thats a HARD DISK drive with 5 MB of storage. 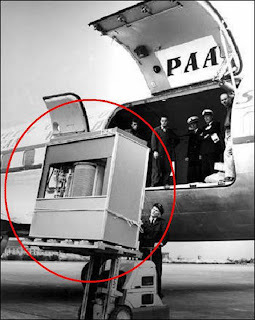 In September 1956, IBM launched the 305 RAMAC, the first 'SUPER' computer with a hard disk drive (HDD). The HDD weighed over a ton and stored 5 MB of data.